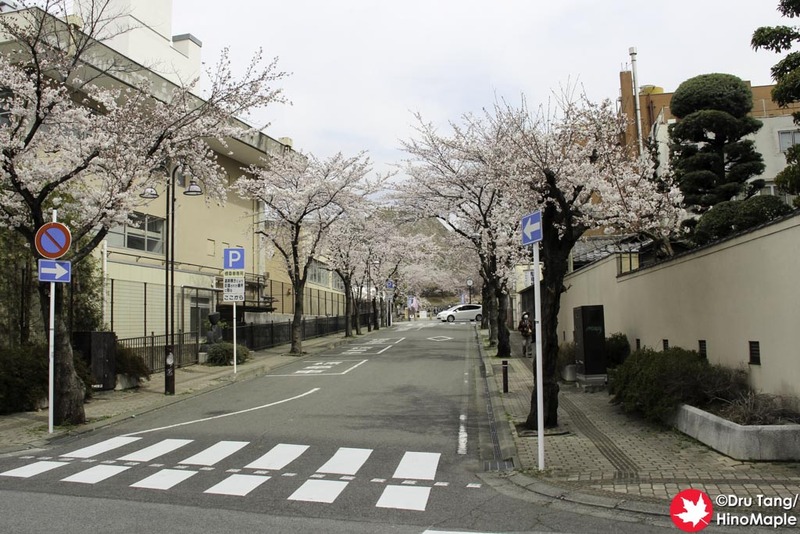 This year, I was lucky enough to be able to see the cherry blossoms in Kofu. I decided to spend a night in Kofu after the 2015 Spring Nomiaruki in Suwa. This was mainly because Suwa had no rooms available and Kofu isn’t far from Suwa, just an hour away. I wanted to visit the Maizuru Castle Park and I was able to enjoy it. I will talk more about the park itself but since I was lucky enough to see the cherry blossoms, I wanted to talk a bit about those first. When you go to Maizuru Castle Park, there are many ways to get there. I entered the park from the “back” entrance which is actually closer to the entertainment district and where most of the hotels are located. I was able to enjoy the walk up to the park as it was lined with cherry trees as well. The main area from the back entrance is full of cherry trees and you just can’t help but enjoy the relaxing area. 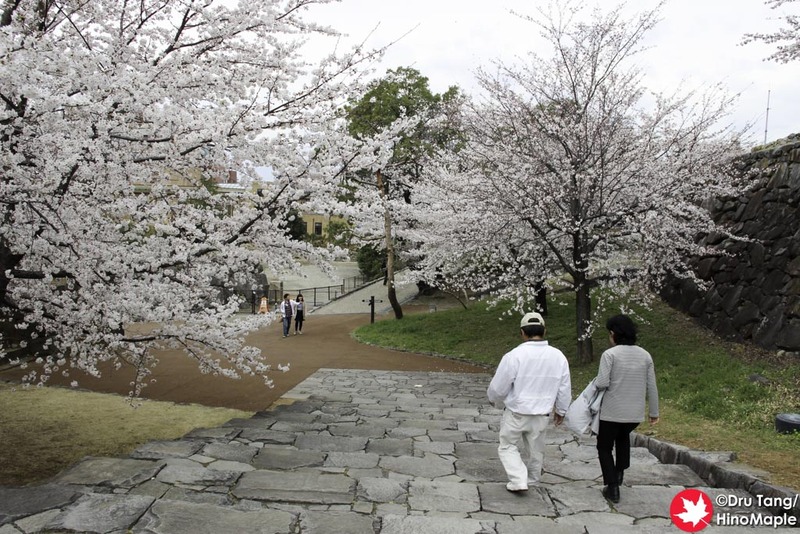 There is a large open space and the cherry trees just climb up the side of the hill to the castle’s inner area. I saw a nice couple getting wedding photos taken and then a family playing soccer as I left. It was just a great place to sit and enjoy the peace. As you walk up, you can’t help but take a moment to just relax under every tree and try to enjoy them. I saw several people setup for parties, but mostly families. I guess a lot of the people who drink will be there at night rather than in the morning. 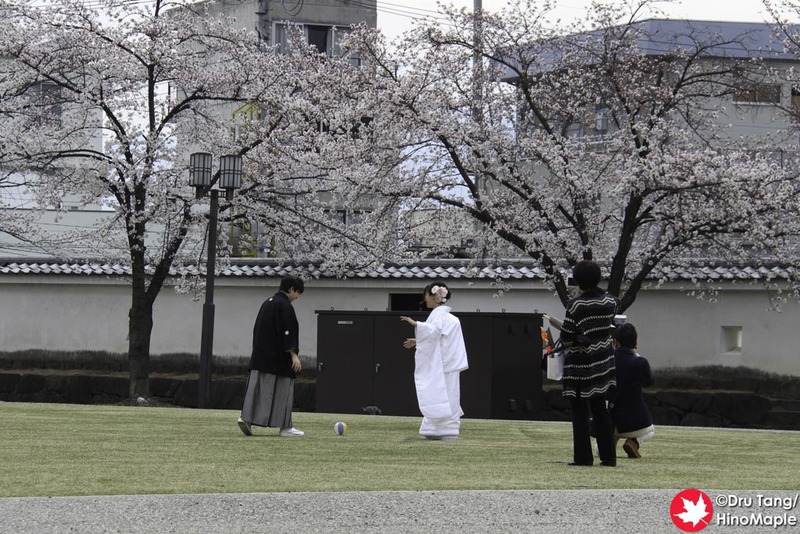 It is a beautiful place to visit and if you are in Kofu during the cherry blossom season, you must visit this park. It is a great place to relax and it isn’t too busy so you’ll have a great time. 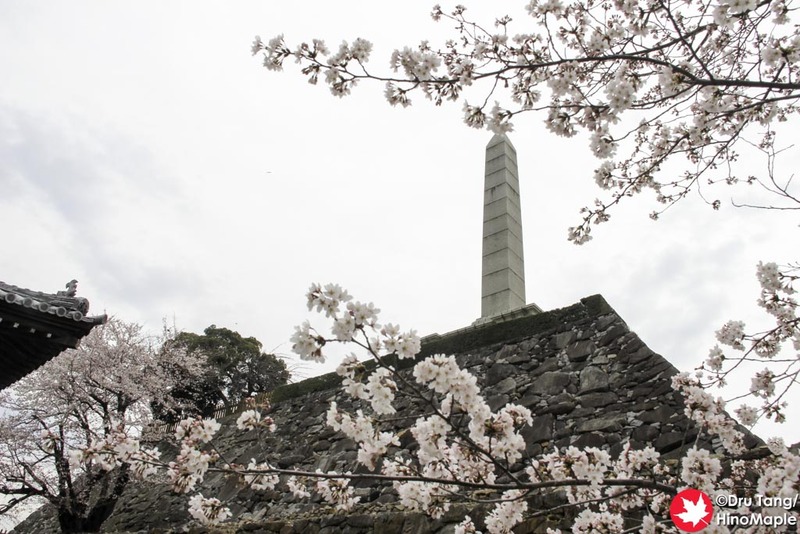 This entry was posted in Chubu, Sakura (Cherry Blossoms) and tagged castle, Cherry Blossom, hanami, japan, Japanese Castle, Kofu, Maizuru, Maizuru Castle Park, Sakura by Dru. Bookmark the permalink.